I mentioned on Monday that the walk to campus is about three kilometres (around 23 minutes). The bus ride to university is 86 cents (or $1.72 there and back), so walking saves me over $80 dollars in twelve weeks (four days of class each week). 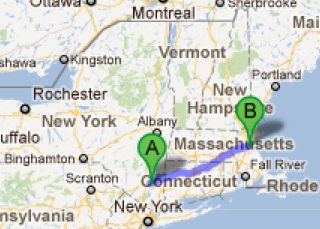 288 kilometres is the distance from Fishkill, NY to Boston, MA. I have a good amount of walking ahead of me.